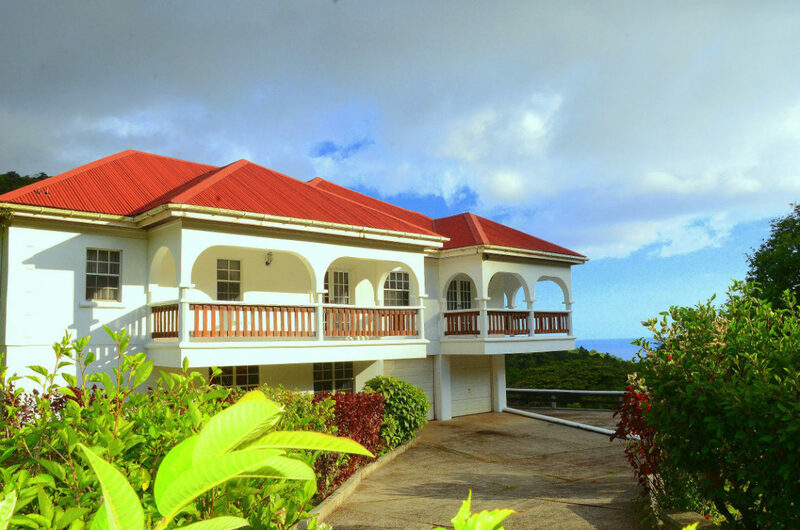 Now Available For Sale At A Reduced Price Of US$775,000.00! Purchasing or selling real estate is one of the biggest financial decisions an individual can make in their lifetime therefore it needs to be taken very seriously. If you are considering placing your property on the market for sale here are a few things you need to know. 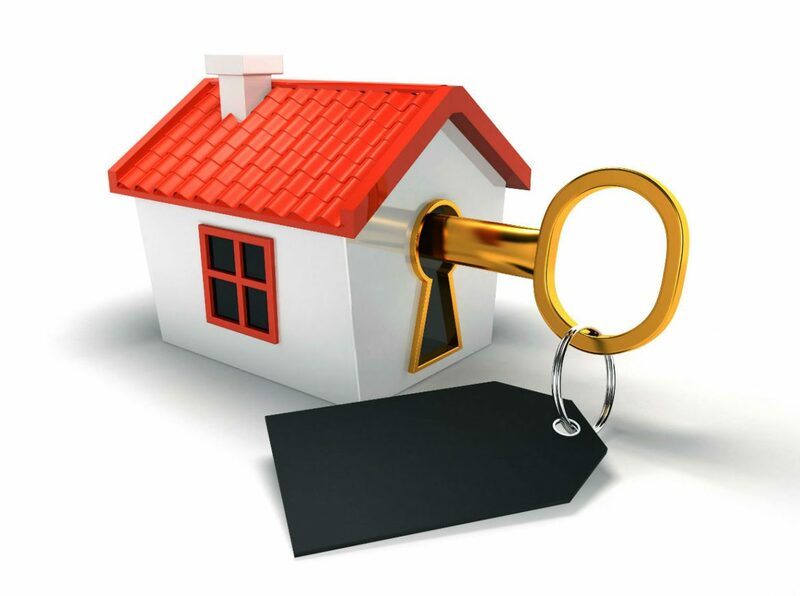 Whether you are buying or selling a property the process can prove to be extremely stressful and exhausting, especially if you are selling on your own. To take some of the burden off your back consider hiring a real estate agent/agency to assist you in getting your property sold. You may be given the option to list with multiple agencies or list exclusively with one agency. If you decide to enter into an exclusive agreement, ensure that you choose the right agents who will minimize worry, maximize results and have your best interest at heart. 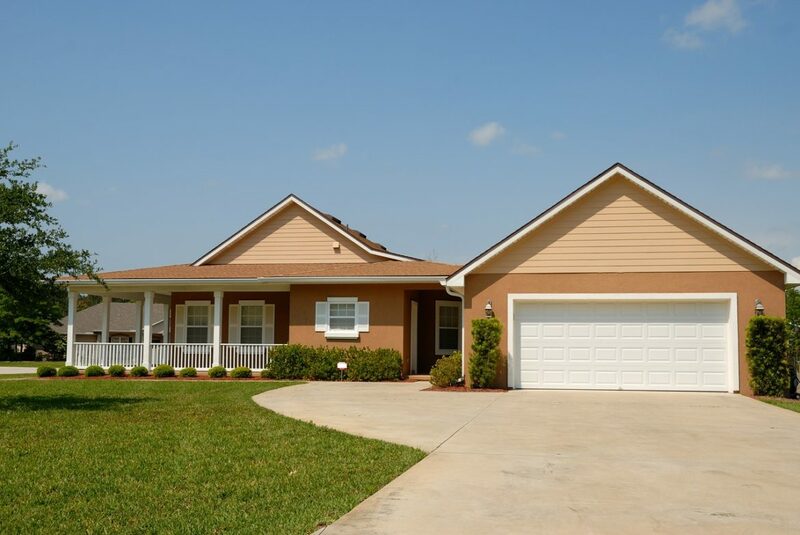 Improve your properties curb appeal in order to make a great first impression. Depending on the state of the property, a prospective buyer could lose interest before placing one foot inside the premises. A prospect’s first impression should make them feel impressed and excited to see more. Consider brightening up your fence or gate with a fresh coat of paint, planting a flower garden, creating a paved walkway, or simply move anything unsightly out of plain sight. Yard maintenance is also highly important. Please note that, particularly if you are selling land, properties that have been overtaken by overgrown grass and shrubs tend to appear smaller than their actual size. Another way of increasing curb appeal is with the inclusion of outdoor living space, such as a deck, patio, or gazebo. 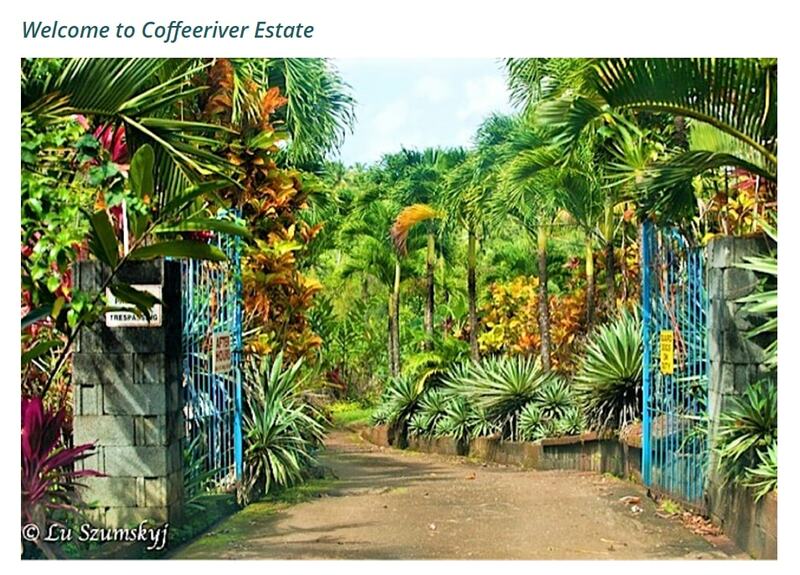 This will not only beautify your property but can also increase its value and selling potential. It is important that your property is in a condition that can present it in the best light which allows it to be purchased at its maximum market value. Give your property some tender loving care. Start by placing attention on the little things and work on fixing them before they become unmanageable or result in further damage. Prospective buyers, especially those who are determined to find their ‘dream home’, can at times be nit-picky and focus on details that you yourself may not consider an issue. If you are going to place your property on the market for sale, it is wise to take a walk through the property and try looking at it from a stranger’s point of view. If you find any issue that can easily be rectified at a low cost, consider working on it as soon as you can. Doing this will also give the prospect the impression that the property has been well maintained over the years and give them a greater appreciation for the property. Come up with a competitive selling price. In order to settle on a formal selling price that will ensure that both you and the buyer are happy you will need to know how much your property is worth. Overpricing is one of many factors that can keep quality real estate from being sold. If you are serious about selling your property, it is far better to have it listed at a reasonable price than to have it sitting on the market for years without attracting any potential buyers because it is overpriced. Remember, your property is not the only one on the market and home buyers almost always shop around. Before you decide on selling, it is important to note that when selling you will be required to pay Government Transferor’s Fee of 2.5% calculated on the selling price or value of the real estate being sold, whichever is greater. In general renovation works can be an exciting process, however, this process can also be challenging and at times overwhelming. There is a lot that has to be considered when undertaking a renovation project. You will need to think about what you would like to / should tackle first. You will need to have an idea of how much you are able and willing to spend. As well as the extent of the work to be done. Would you need the assistance of professionals or are you planning minor changes that you will be able to work on yourself. You should have a general idea of all of this and more before getting started. In this article, we discuss a few tips that you should keep in mind when planning on renovating your living space into a space that suits your needs, your style and your budget. Spend time to planning before you begin. A lot of preparation and consideration needs to be taken before renovation works can commence, especially if structural changes have to be implemented or professionals are needed. You will need to know what function you want the room to serve. Ask yourself, ‘What is your goal for the newly renovated space?’ Are you renovating to make the room bigger? Do you want to give the room a more updated look? Are you renovating with the intention to increase the property value with plans to sell later down the line? Once you have a clear idea of what you want to achieve with the renovation you would have a better idea of what needs to be done. When you are planning it is wise to think long term. Remember that your family and lifestyle is likely to change over the next few years. A newlywed couple planning to have children in a few years would need to ensure that the design of the space is child friendly. If the plan is to live in the home well into the golden years, it would be wise to make the room elder friendly as well. This can also offer immediate benefits if you have parents or grandparents who live with you or visit frequently. It is important to be able to balance your new needs with the budget that you have for the renovation project. It is wise to seek advice from an architect regarding how to creatively yet practically convert the existing design to the new and improved one while staying on budget. Whether it is through purchasing an existing property or having the home of your dreams designed and built, most individuals dream of one day owning their own home. Reaching the point of home ownership is considered a significant moment in an individual’s life and thus we work hard to turn that dream into our reality. While owning a home provides several financial benefits it also offers some non-financial benefits that aren’t often considered. In today’s article we take a look at three (3) non-financial benefits of home ownership. Individuals often compare the differences between home ownership and renting when considering the advantages that owning a home offers. A key difference between the two options is that when you own your own home you won’t need to worry about the cost of rent being increased or being evicted. Also, renting a home or apartment does not usually provide much option in regards to modifying the living space to better suit your needs. Whereas if you own your home you are free to renovate or add an extension to increase your comfort and convenience. Home ownership offers stability. Having to move from rental to rental is a major inconvenience and can be both a financial and emotional burden. When you spend your life constantly renting homes and apartments you can never really be sure where you will end next. Factors such as a change in your financial situation or even a growing family may require you to move to another property sooner that anticipated. Another benefit to home ownership is that it grants owners the opportunity to be a more established member of a community. When you own your property you literally own a piece of your community. Being part of a community means being a good neighbor, and that requires owners to take care of their property and improve the community. 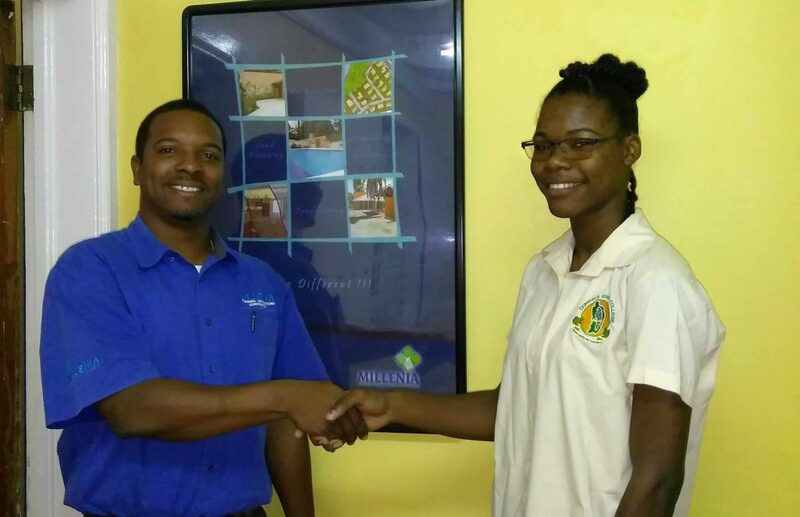 As part of the Millenia Architects Guiding Light Initiative launched in June of 2018, a scholarship for tuition covering a one-year Architecture Associates degree program at the Dominica State College was awarded to Ms. Nerrisa George of Calibishie. “The Millenia Group, comprising of Millenia Architects, Sorell Consulting Ltd., Kaliber Construction & Homes, and Millenia Realty, believes that sustainable development goes far beyond bricks and mortar that is why we have decided to invest in the development of the human resource that is needed to create a resilient economy for decades to come.” – Executive Director of the Millenia Group, Alistair Grell. This initiative has also benefited two other young people so far. The intern who went through our six (6) months internship last year has since been employed as a permanent member of our team. Also, there is one person currently participating in on-the-job training and mentorship from our team. As an employer or business owner have you taken the time to consider how the layout of your office affects your employee productivity and work experience? Having an effective office layout enables productivity, and also makes workflow efficient. Different office layouts work best with different types of businesses or organizations. 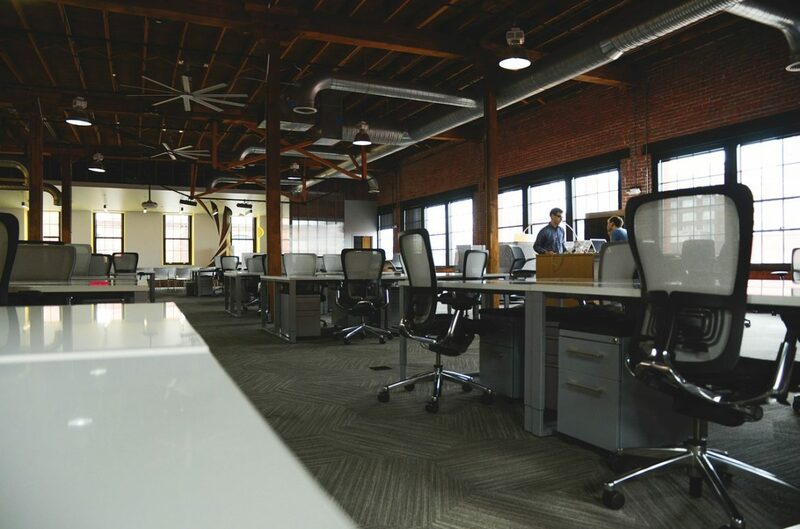 If you are searching for a new office space or planning on remodeling your existing space this article will help you learn more about the different types of office layouts and their functions. The open office layout’s main benefit is that it encourages communication and teamwork. Due to the lack of interior walls / barriers decisions tend to be made faster which results in swift action and increased productivity. Offices with this layout are ideal for fast paced business and businesses with a flat organizational hierarch. Open plan office layouts also allow employers to give more attention to their employees, and can help employees develop better relationships with their employers as well as their coworkers. The disadvantages of this layout is that it lends itself to a lot of distraction; it offers very little privacy and the office can get very noisy. The private / closed office layout works best for businesses where confidentiality is extremely important (such as law offices). Thus employees would need solitude to take private phone calls, or meet individually with clients. The main drawback to using this layout is that it does not offer the same level of effective communication as the other office layouts. It is also more costly. For one, you would need a larger office space than with an open layout and more artificial lighting and cooling would be needed to maintain a conducive working environment. Cubicles use a series of partitions allowing workers the benefits of a private / closed office layout (privacy, limited distractions, decreased noise levels), while offering an adequate level of openness. Cubicles do not take up as much floor space as private offices. They are also beneficial to companies that require confidentiality and those that do not have the budget to offer everyone a private office. Similar to the private / closed office layout cubicles offer limited natural light. Using glass panels will allow more natural light to come in and allows the space to appear larger. Half partitions which are like cubicles (except the walls only go halfway up) can also be useful, however they offer less privacy. Team enclosures offers a private area for teams working on a single project and those who work on similar projects. This layout allows increased communication and encourages cooperation between team members while minimizing external distractions. This layout is beneficial to organizations and businesses such as advertisement agencies, news offices, or architectural and engineering firms. Remember, with many people spending more time at work than they do at home, choosing the right office layout is an important decision to make not only for you but for your employees as well. Also, in many cases, it may make sense to have a variety of different layouts in one office space. One of the basic principles of interior design is that every room needs a focal point. Walk into the room and notice the first place your eyes land. This is ideally the perfect location for a piece of statement artwork. 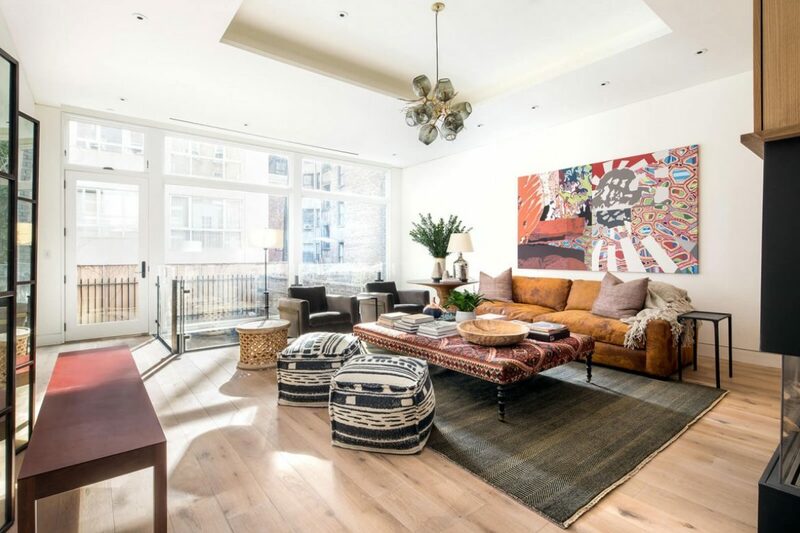 Whatever piece is chosen should help the eye connect all the pieces in the room while creating a unifying statement in your overall design. When you are hanging art on your walls you want to ensure that they are positioned at eye level. Whether you are hanging multiple pieces in columns or rows you should keep this in mind and hang the lowest piece at eye level. This will help create a unified design statement. Also, if you have a large collection of artwork consider splitting the pieces across different rooms. Ensure that you fill the space you have with the right scale of artwork. A small and subtle piece can become lost on a large wall while a large bold piece will feel constricted if not given space to breathe. Hang a big bold statement piece on a large empty wall, this will make the room feel uncluttered and will bring more focus and attention to the artwork. Think of how the colors of the artwork will affect the mood in the different rooms. A calming grey art piece would be ideal for the bedroom while yellow which is a more welcoming and cheerful color would be perfect for the living room. It is helpful to note that you can use your artwork to imitate the life of the room. For example, artwork of food is best used in the kitchen while a family portrait or a happy group of friends would work well in the living room. The subject of the artwork is also a way of tying the pieces in the room together. Using animal prints for example fits well with organic or botanical imagery. With all this in mind you should also remember that when you decide what piece you should use or where to hang art in your home there are no rules. While these tips aid in creating a more aesthetically pleasing and well-designed environment, bringing art into your home is personal. Above all else the choices you make should bring you joy. Whether you are planning on selling your home or you are simply interested in updating your home for your personal enjoyment consider implementing these home improvement tips that will increase the market value of your property. Ensure that your home’s exterior is appealing and inviting. Planting trees or a flower garden, keeping a well maintained lawn, and keeping shrubs and bushes pruned are simple ways to improve your homes curb appeal. In addition, including a focal point such as a well-designed walkway can add major property value. Utilize excess yard space by including outdoor living spaces such as a deck, patio, porch, pergola etc. to increase the value of your property. Investing in outdoor spaces provides the opportunity for more outdoor activities. This adds resale value to your property. Homebuyers tend to be more interested in homes that offers this feature. Adding an additional bathroom may be the best home improvement decision you can make. Having an additional bathroom not only increases your home’s resale value, but it also provides the home with greater functionality. Consider updating your home’s décor by replacing your old fixtures with new updated ones or adding modern fixtures such as moldings and chair rails that give the interior a crisp design. 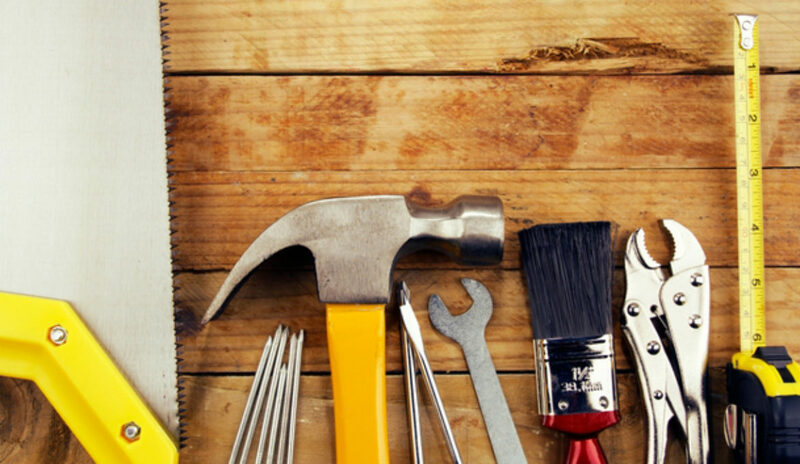 Doing small repairs may seem insignificant, but by maintaining and fixing the small things it gives the impression that your home has been well cared for over the years. Take a walk around the property and take note of what is broken and can easily be repaired. Also, staying on top of maintenance now provides the benefit of eliminating issues before they become too problematic. You have finally found the perfect place to rent. It is moving day and you are thinking “How can I make the best of my stay here? What should I do to be the best tenant I can be?” Well these 6 handy tips will show you how to make your time at the rental as pleasant as possible. Read the rental agreement over a few times before you sign it because it will govern the Landlord-Tenant relationship. Now it is your duty as a tenant to respect the terms of the agreement after you have signed it. The slightest breach of the contract on your part gives the landlord the right to evict you regardless of payment in advance. If an unforeseen situation arises which may cause you to go against the terms of the agreement, promptly explain to your Landlord with the hope that your situation will be considered. Please remember that the Landlord has a prerogative to say no and that prerogative should be respected. Try to maintain a cordial relationship with your landlord because proper communication is essential to a productive living arrangement. You do not have to become best friends, but if you are having problems or difficulties you need to be able to speak openly with the landlord to see if the issue can be resolved before tension escalates. Also, remember that communication is a two way street; you also have to be able to listen and pay attention to your landlord’s concerns and requests as well. It is extremely important that you pay your rent in full and at the agreed upon time, every time. In doing so, you avoid disputes between you and the landlord regarding occupying their property without payment. This is an issue that will more than likely always create tension, especially if done frequently. In addition, when looking for a new rental property your landlord will be contacted to give a report, and complaints regarding payment will be detrimental to your chances of being accepted by a new landlord. If you are going to be late for a particular month, week, etc., pass on the information in advance with a reasonable explanation. Always remember that at the end of your lease, you must leave the property in good condition. Therefore you should keep the building and the environment as clean as possible during your time there. Avoid damages to the property, furniture, etc. Remember, the cost of damages will be taken from your security deposit or even from your own finance, if damages exceed the deposit. The landlord may on a few occasions want to take a look at the property while you are living there; try your best to accommodate their request. It may be considered an invasion of privacy by some, but remember it is their building and if the roles were reversed you might feel the need to do the same. It does not take much to assure the landlord that you are taking care of their building. When your stay is over leave on good terms, avoid having to be evicted; leaving with unpaid bills; rent being owed; or unreported damages to the property. This is the best way to ensure no legal action is taken against you, which will cost you more than you already may owe. Remember the reports of your current landlord play a determining factor in whether or not someone else will be willing to accept you. We cannot discount the natural sense that many people have of design but when designing with an untrained eye, you either hit or miss terribly. Our architects have been trained in design, and thought it would be helpful to share with you some of the elements of design that are useful in achieving a functional and aesthetically pleasing room. This article will shed light on the “shape” element of design. The shape element of design involves the use of shapes to achieve a specific effect. Using different shapes of objects in a room can have an effect on its atmosphere. Curve shaped objects in a room create a soft/warm effect while rectangular or square shaped objects make a room appear hard/cold. Here are a few tips which would make simple for a homeowner to use the shape element of design. When designing or furnishing a room there must be a plan as to what effect you want to achieve in that particular room. The effect you seek to achieve in your study/work area would be different from your game/entertainment room. Having a mish mash or a melee of shapes, which is often the case, reduces the rooms visual appeal. So it is best to decide before hand whether you are sticking to round edges or you are sticking to triangular shaped pieces. Using different shapes can be used in a room but it would be used to highlight a focal point or unique piece (furniture/décor item). Also, different shapes can be used to show the difference in use of space in a room. For example, if your dining area is open to your living room. In addition, you may use a different type of shape for center room furniture from those that are touching or hung on your wall. Finally, the shape element can be incorporated into the arrangement of your furniture and décor items. Your placement of these items can be used to create a shape. This will help your design be more organized. Look out for information on the other elements of design in the near future.